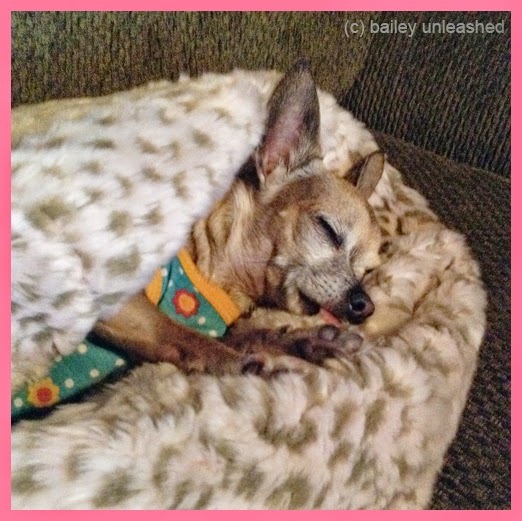 it's a lot of work recuperating from head trauma, so bailey needs lots of rest. at nap time you can find her snuggled into her cozy, cuddly blankie. I just want to kiss that precious baby! Mom says she wants to cuddle up in a bed like that and nap too! What a sweet little pup! So sweet. It's wonderful to see her getting better.